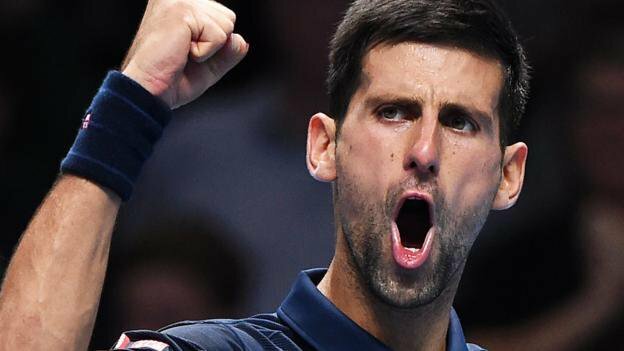 Novak Djokovic is a Serbian professional tennis player who considered to be one of the greatest tennis players of all time. He has won 12 Grand Slam singles titles. He is the first Serbian player to win multiple Grand Slams and the first Serbian player to rank No. 1 for more than 100 weeks. Djokovic was born in Belgrade, the capital city of Serbia, to parents Srđan and Dijana. His father is from Jasenovo polje in Montenegro and his mother is from Vinkovci in Croatia. He has two younger brothers named Marko and Djordje, they are also tennis players. He has been married to Jelena Ristic since 2014. They have a son named Stefan. *He attended Pilic Tennis Academy in Munich, Germany. *He is the first Serbian tennis player to win a Grand Slam title. *He won 3 European single titles, when he was 14. *He was discovered as a 6 year old by Yugoslavian great Jelena Gencic. *His childhood idol is Pete Sampras. *He speaks fluent Serbian, English, German, French and Italian. *He is a passionate fan of Red Star Belgrade. *He is a UNICEF National Ambassador for Serbia. *He has endorsements with Mercedes-Benz, Audemars Piguet, Sergio Tacchini, FitLine and Srbija. *Follow him on Twitter, Facebook, YouTube and Instagram.